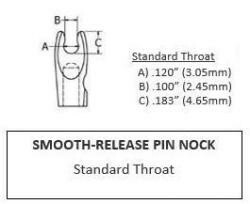 The Smooth Release Pin Nock has shorter ears and a smoother throat to allow for a quick, clean release from the string. 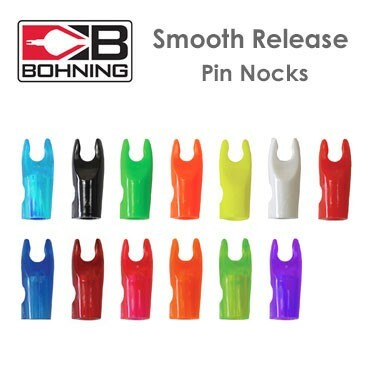 It was developed at the same time as the Blazer pin nock was undergoing some upgrades, and is available in Boning’s standard throat size and 13 colours. The nocks are engineered to withstand over 1,000 shots at kinetic energy levels over 105 ft/lbs, and bow speeds of more than 340fps.